Marlin Steel Wire Form #910002 is used by an industry-leader in the firearm supply for the U.S. military and police. They needed a product specifically for a kickstand for a gun. This client specified that the unit must rest on all feet, without any tilt or wobble. To avoid scratching and rattling, this wire form features a plastic coating for the area where the gun will rest. 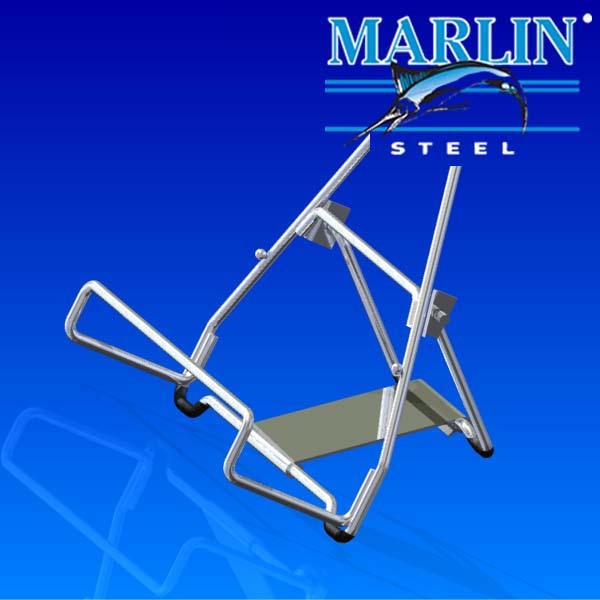 Marlin Steel can easily customize any of our wire form products to fit your needs.